Scott and I left 2 VIPs back home ( very important pupkies) when we received his 2-4 month prognosis nearly 11 months ago. Our friend Maureen volunteered without us asking to take our two kids on, even though she has an 85 lb poodle of her own. The beyond generous offer was accepted and Maureen, a multi-talented jewelry and website designer, drove 900 miles each way to come get Loolie and Hershey. We knew Maureen’s original intention was meant to cover the duration of Scott’s journey but what none of us knew then was that Scott’s tenacity would double– and then triple–the expectations of his oncologists. So after more than 4 months of handling our dogs, we told Maureen we understood that she might be feeling pressured by other responsibilities, had probably had enough and we released her from her commitment with tons of gratitude for finding them a new place where they would be equally well taken care of. That place is Creature Quarters Guest House & Dog Camp in Brooklin, Maine. 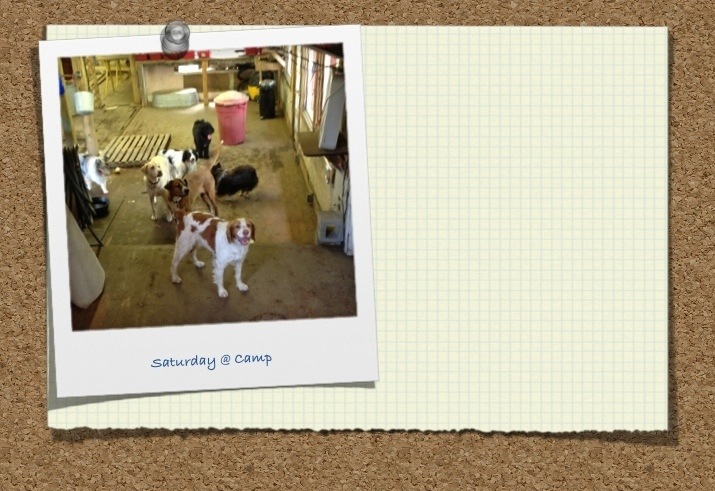 The camp is not an ordinary kennel. No. We are told Hershey n Loolie immediately got themselves an upgrade ( Dad taught them well!) andwere soon sleeping with proprietress Carol Ann Cutler and her own dog Harrison. The camp features huge yards, barn, doggie pool, the home itself…and the care and attention our babies are receiving is phenomenal. I knew it was the right place for them when Carol Ann started following our Going to Goa Blog and saw our post about Arambol Beach. 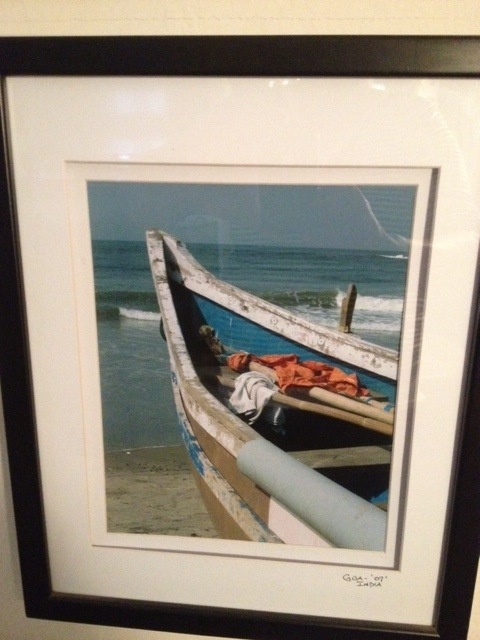 She sent me a snap of this framed photograph which was a gift from a friend that hangs in her home. It’s entitled Goa, a place she’s never been to or really knew about. Until now. Another synchronicity moment. I told Scott I fantasize that this picture is a magic portal for us to meet up with Loolie n Hershey during dreamtime. And the best part is that Maureen’s dog Max does regular sleepovers to play with them. The camp is also a dog friendly guest house for people, too. We are just grateful that we have a friendlike Maureen and a pro like Carol Ann to keep our pups safe and healthy while we are away. That’s Hershey n Loolie 3rd and 4th from front in this photo line up below. This entry was posted in Uncategorized and tagged arambol, creature quarters guest house and dog camp, dog day afternoon, dog friendly maine, Going to Goa Blog, Katy Allgeyer, maureen farr, mozelle studio jewelry, Scott Morgan, where to board dogs downeast maine. Bookmark the permalink.